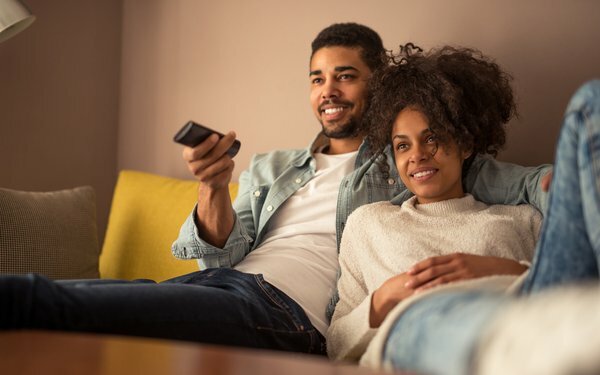 About half of all U.S. TV viewers -- and nearly 60% of young viewers -- are “co-viewing” more than three years ago, according to a study from GfK MRI. MRI’s Cord Evolution research says nearly 57% of the time co-viewing comes with a significant other, 19% with children, 16% with other adult family members, and 9% with friends. Overall, 48% of all TV viewing time comes from co-viewing. MRI says 55% of solo viewers are men. Parents are more likely to be co-viewers -- 77%. The big reasons for co-viewing are spending time with others, watching the same show, and sharing the experience. About half of co-viewing 52% comes via traditional pay TV services; 48% from streaming services. Among young viewers, 18-34, 72% are more likely to choose streaming services for co-viewing. Co-viewing movies is the top genre to watch with significant others, friends and adult family members. Children’s TV content is tops for co-viewing with kids. The MRI study comes from research based on 24,000 in-person, in-home interviews, tracking levels of “cord disruption” among 10 unique viewing groups.